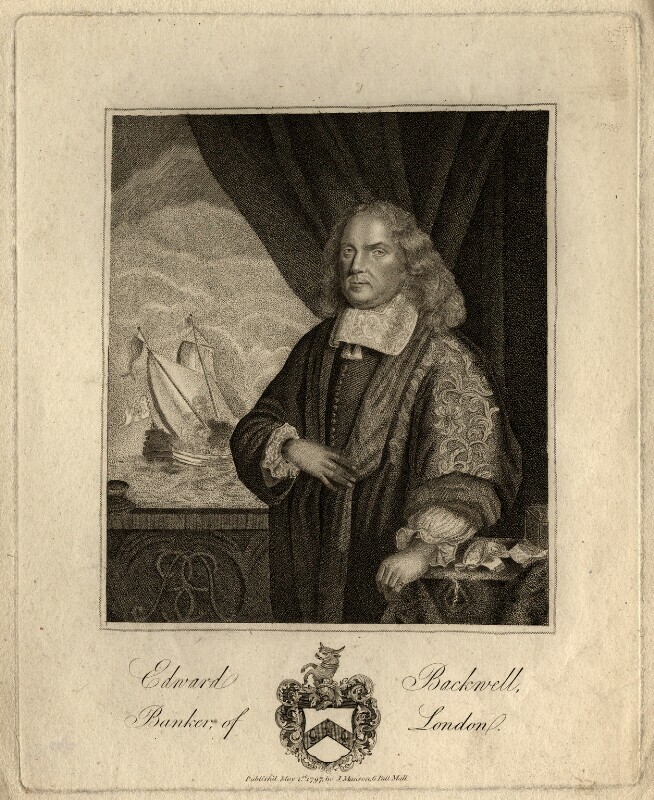 Edward Backwell (circa 1618-1683), Banker, goldsmith and politician; MP for Wendover. Sitter in 2 portraits. The Anti-Jacobin periodical makes its debut followed by The Anti-Jacobin Review the year after. Edited by William Gifford, it acted as a Tory mouthpiece against the 'New Morality' associated with republicanism. Bank crisis results in the temporary suspension of payments by the Bank of England leading to a nationwide currency shortage. Robert Southey, later Poet Laureate, publishes his collected Poems, exploring contemporary interest in mythology and non-European cultures. Ann Radcliffe publishes her popular gothic novel The Italian. One of the most imaginative novelists of the period, she helped introduce readers to the romantic sense of the supernatural. Battle of Cape St Vincent. Admiral John Jervis leads the fleet which defeat the Spanish. Failure of a small French invasion in Pembrokeshire. Naval mutinies at Spithead and Nore. Attack on the Canary Islands in which Rear-Admiral Nelson loses an arm.